Having a good real estate agent can ensure that you are getting the most out of your property experience. Sadly, not all real estate agents out there have the qualifications that you could need or might be looking for. At Gilbert real estate agent we offer the best services of an estate agent in Phoenix. At Gilbert, real estate agent brings together two or more interested parties, perform the steps necessary to conclude a transaction successfully and charge only a commission of 1.5% for their services. For sales transactions, we charge a commission to the seller while for rentals, the commission is typically charged the landlord. Gilbert real estate agent, we calculate our fee as a percentage of the selling price (in the case of a sale) and as part of the rent for rental units. 1. Often our agent will be able to help you get your home sold much faster and for more money than you could have on your own. Once you consider all the things, our agent will do for you from the time we list the home to the time it sells, the commission that you pay to our agent is usually money well spent. Gilbert real estate and realtor agent charges a low commission of 1.5%. 2. Gilbert real estate and realtor agents understands the current housing market at Phoenix since we I have lived in the area for over 20 years also owned over 6 properties lives in your area. 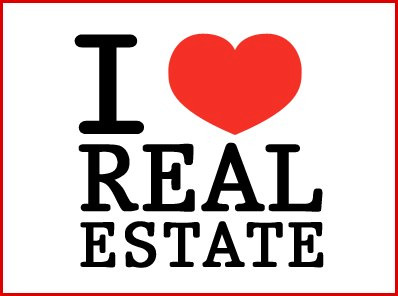 As an agent, I understand the neighborhood well, the home values, benefits of the area, and the local competition. 4. As an experienced agent, I know what will make houses sell. I will be in a position to give you advice on what could be done to the home to get it sold quicker. Anything from staging the home to making minor repairs or upgrades. 5. Having access to MLS, I will include your home on the MLS to increase its overall price. As an agent, I have access to the Multiple Listing Service (MLS). This tool is only available to real estate agents and allows them to get your home in front of thousands of other agents and buyers. 6. Having an experience of over 20 years, I know how to market your home. I know what to do to market your home for sale, whether that is an open house, internet exposure, flyers, caravans, etc. 7. As agents, I will represent you to the end. I will represent you from the time the home is listed to the time is closes escrow. An agent’s job is to make sure your interests are protected in the sale of the home, and everything negotiated in the contract is fulfilled. If a problem arises at or after closing your agent, I will help resolve any issues. Hiring the right real estate broker often proves to be tough, as hundreds of real estate broker companies have grown up all over the United States. Very few of them provide excellent services, one such experienced and an efficient real estate agent in Gilbert. Jason Rosenberg has been working as a realtor for 20 long years. His experience, trustworthiness, and efficiency have made him the best of the region. The realtor is often considered as one of the best real estate brokers of whole United States. People, who want to sell their house in Phoenix contact Gilbert for serving their purpose and also those who want to shift to Phoenix from any other part of United States, hire him. Since, transaction of houses involves a lot of money; people often cannot trust the realtors. But, when they come to this superior dealer they feel that their money is at the safest hand. The 20 years of experience of this Phoenix realtor proves his trustworthiness. Gilbert agent services would not have succeeded for such a long time if he had not been trustworthy. When choosing a real estate broker, you must be very cautious. There are many frauds in this business, who can easily fix you up and take all your hard earned money. All real estate brokers are not like the Gilbert real estate agent, Phoenix who can be trusted blindfolded. The trustworthiness of Gilbert is the symbol of his personality. People who have hired him have never returned dissatisfied. You can contact us at (480) 363-1336 or visit us at our website www.jasonrosenbergrealty.com.